The Samuel Beckett bridge in Dublin, Ireland is a cable-stayed bridge connecting Sir John Rogerson’s quay and the North Wall Quay. 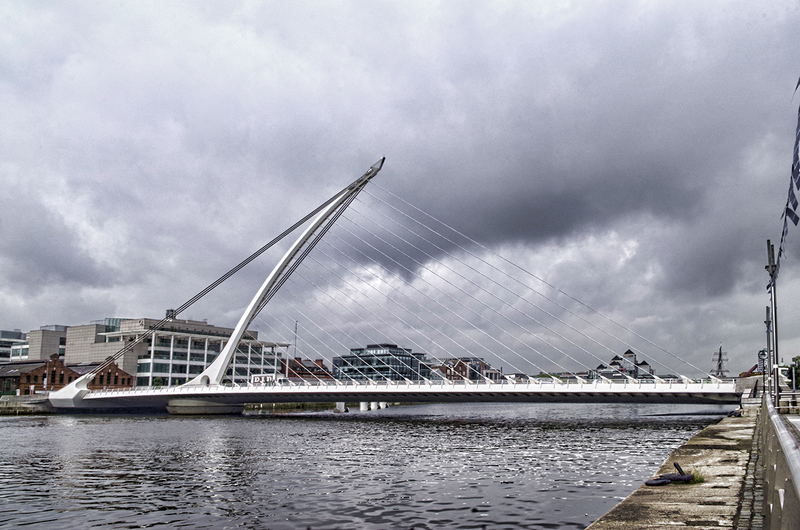 Opened in 2009, the bridge contrasts with the other historic bridges spanning the River Liffey. It is designed to rotate at a 90 degree angle, allowing large boats and barges through.